Over the past few years I've traveled the WW2 landscape with the Order of Battle series from The Artistocrats, and seen some exotic locales. The series, which started in the Pacific, eventually visited such rarely gamed battlefields as Burma, China, and a hypothetical expanded Battle of the Atlantic. However, the biggest, most popular battlefields cannot be ignored forever. 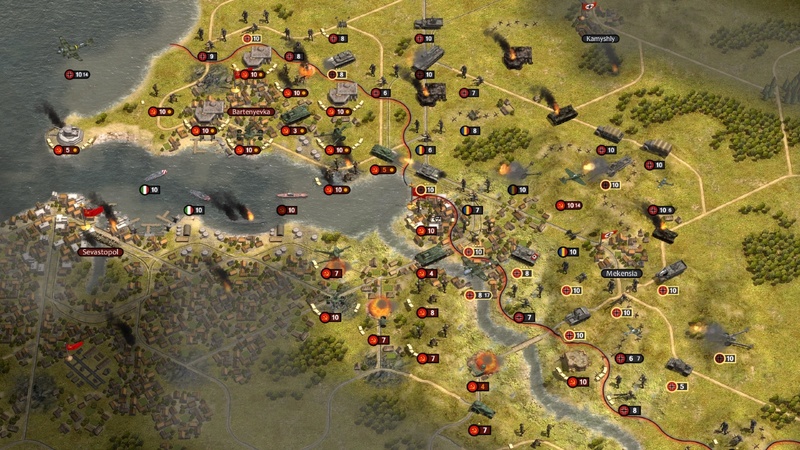 The series from kicked off a multi-part German grand campaign with the Blitzkrieg pack a few releases back, which featured the early war conflicts in Europe and ended at the gates of Moscow. Now with the latest DLC, Panzerkrieg, we rejoin the Germans as the bitter winter of '41 sets in. Although one might expect to play Blitzkrieg before Panzerkrieg, it isn't required. You can customize your starting force to a certain extent, or take the default army. I went with the latter option, and quickly realized it might be best to come into Panzerkrieg with a top notch army formed during a successful play through of the Blitzkrieg campaign. Which is to say that Panzerkrieg is probably among the most difficult campaigns available for Order of Battle, at least for me. I haven't played all of them, but I have finished several and rarely had much difficulty on the default settings. The challenge of the game usually came more from trying to complete all of the bonus objectives rather than winning the scenario, which was a given. Your forces in Panzerkrieg, much like their real-world counterparts, are up against the ropes as soon as things kick off. 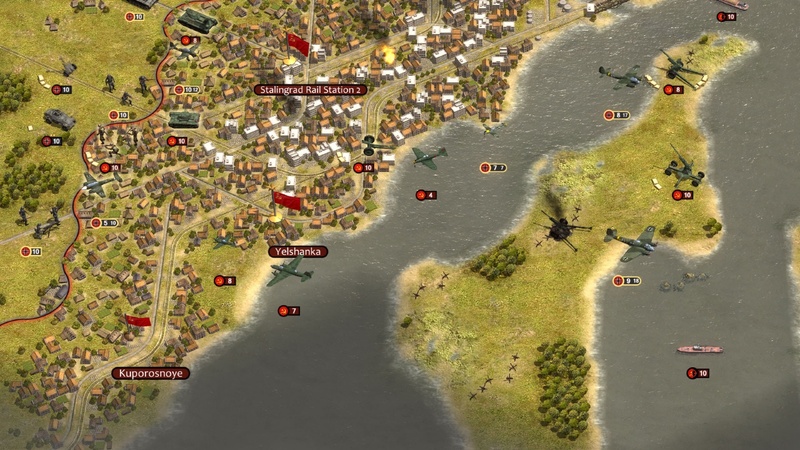 The first few missions have you fending off Soviet offensives from multiple directions while also attempting to achieve various objectives, usually trying to save isolated German forces. Attrition will become a key concern in your campaign, just as in the real battles. While your troops are deadly, they can only fight so many battles before needing repair, but the Soviets have a seemingly endless supply of fresh units to throw at your lines. You will also have to deal with their far more effective T-34 and KV-1 tank units. I found that as the campaign wore on I simply did not have enough resource points to keep all of my units topped off and fully upgraded, as I would expect based on past campaigns for Order of Battle. About half-way through the campaign I realized my forces were just too worn out to continue, there was no way I could win the scenario I was up against. Surprisingly, I found this to be quite refreshing. I had always considered this series to be just a little too easy on the default setting, and it fell into that trap of similar games where things snowball and tend to get easier the better you perform. I know there are several higher difficulty settings, but I personally prefer to play most games at the default setting to get the experience that the developers intended for the average player. I had to stop and ask myself what went wrong here. Why did I lose the campaign when I have played this game quite a bit and felt very confident going through each mission? (At first). I thought back on my play and realized that I had been sending my troops out to fight battles that were unnecessary. Instead of simply accomplishing the objectives set out for each scenario, I had rather impetuously sent units out looking for fights when they should have stayed put at their post. Many of the early scenarios include numerous Soviet units that are beyond your area of operations, and don't need to be engaged. Seeking to rack up kills, and not considering the long war ahead, I had sent full strength units off to find trouble by attacking these enemy forces. Sure, I crushed them, but then I needed to spend resources repairing those units, resources that should have been saved for other units fighting to win the scenario. I also raced to complete my objectives as fast as possible, to my own detriment. Given 30 turns to complete a scenario, I had put the pedal to the metal and tried to finish it off in 20. This usually led to far higher casualties from units getting overextended or ambushed. This is a campaign that needs to be approached with a bit more forethought than most. You need to accomplish your objectives in the present scenario, but also be looking to build up your forces, or at least maintain them, rather than grind them down in reckless battles. My defeat actually made me want to go back and purchase the Blitzkrieg DLC so that I could control my core units from the very beginning of the war and have a greater familiarity with them heading into the harsher (for the Germans) years of the conflict. Carrying a single force through what will eventually be three linked campaigns, expanding and upgrading it with better units and leaders, should be quite the experience. I can only imagine how much more difficult the scenarios could potentially be towards the end of the war. I haven't gone into the details of exactly how the game works in this review, since I've covered that ground in previous reviews and not much has changed here on a fundamental level. All the units you would expect to see on the Eastern Front are present, from Russian conscripts to Panzer III's and Flak 88's. You'll need a balanced force to deal with all of the threats you will face on the ground as well as in the air. Losing control of the skies can make your day that much harder. In my failed campaign I simply could not afford to keep more than a couple of fighter units in the air, and the Soviet bombers took full advantage of it. Although Panzerkrieg covers more familiar ground than most of its fellow Order of Battle campaigns, it offers up a fresh challenge to even veteran players. Of course, many players may have been looking forward to fighting through some of the most iconic battles of the war, like Sevastopol, Kharkov, and Stalingrad within the Order of Battle system. The series continues to deliver one of the best, most polished versions of the tried and true Panzer General flavor of wargaming to date. I recommend this campaign DLC for anyone who enjoys the game, just be prepared for some stiff resistance from the Soviets! Available directly from Matrix/Slitherine through this link or on Steam.